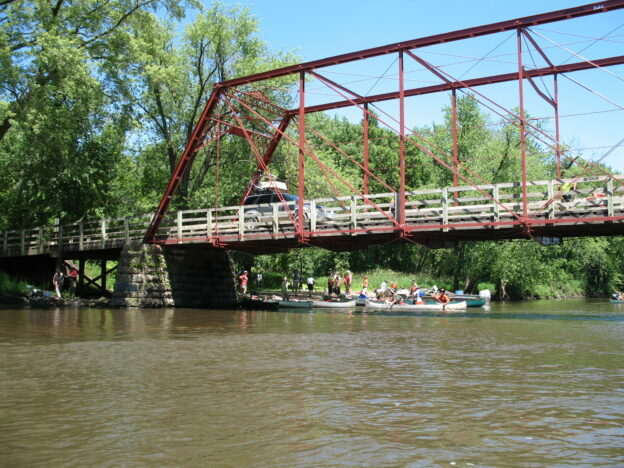 This entry was posted in News on March 30, 2019 by Pamela. 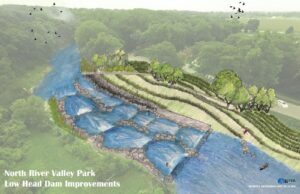 This project replaces the River Valley Park Dam with a divided channel, half for whitewater waves and half for fishing and fish passage. It also preserves the dams water supply function. 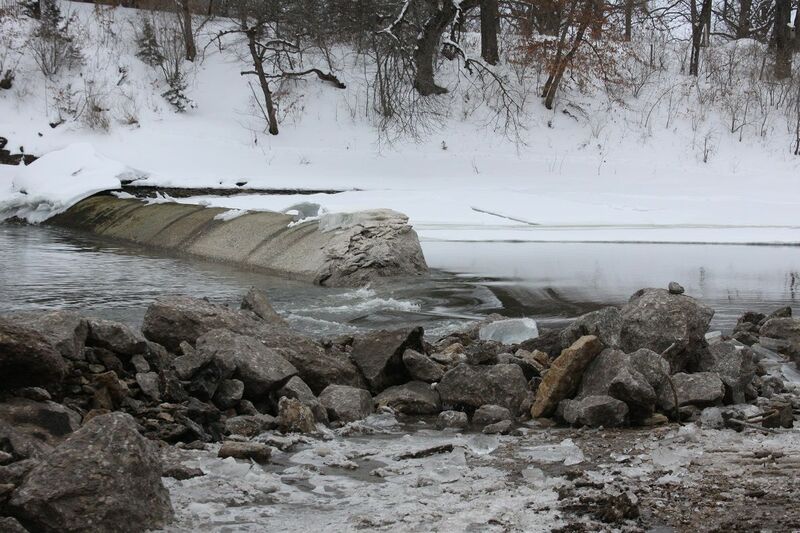 Little Dam (also called Lower Dam) was removed in February, completing the project. Paddlers can safety float from the Phinney Park Access on Lizard Creek down to Dolliver State Park unimpeded, and fish can move freely as needed as far upriver to the remaining portion of Hydroelectric Dam. A rocky bed was uncovered in this area. Hydroelectric Dam, formerly a 16-high dam, is removed down to a few feet high through summer, when it is expected to be completely removed. The removal is staged into 2 steps in order to prevent all sediment in the impoundment from being released at the same time. 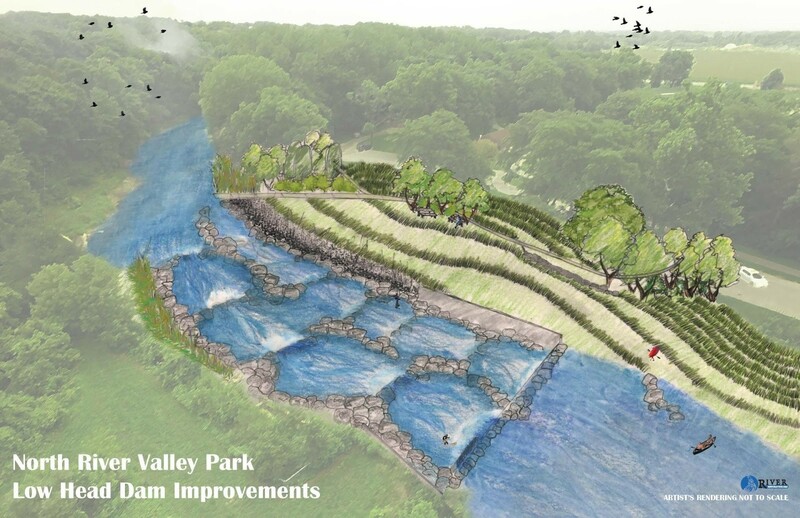 HOWEVER, recirculating currents will continue to be a safety hazard remaining portion of the dam until the dam is fully removed because the dam’s height will still be about 5 feet. 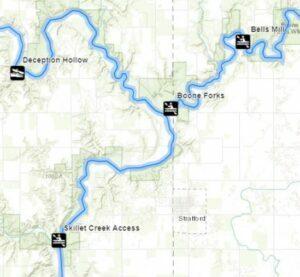 All boaters should avoid the stretch between the Hydroelectric Park Access and mouth of Lizard Creek until the rest of the dam can be removed – most likely later this summer. 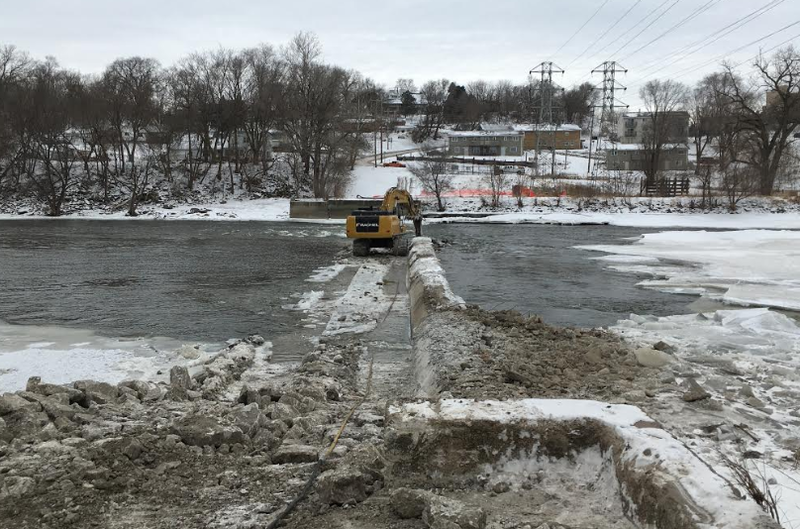 Phase 2 of the project was completed this winter and the Maquoketa River takes a meandering course through the former bed of the Quaker Mill Pond. 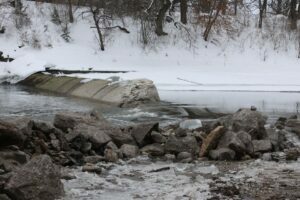 The Littleton Dam on the Wapsipinicon River is completely removed. High water after ice-out prevented completion of the rock arch rapids that will take the place of the dam, and contractors will resume work after flows are reasonable for work to be done. 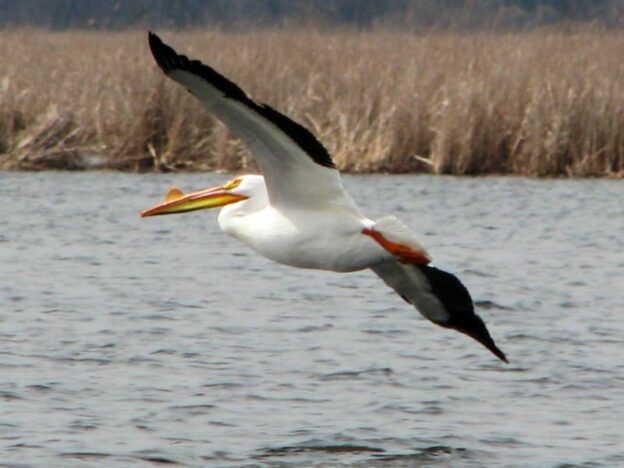 This entry was posted in Conservation, News, Safety on March 19, 2019 by Pamela.